Cranberry tea can help alleviate internal and external problems, thanks to the large quantities of antioxidants and vitamins. 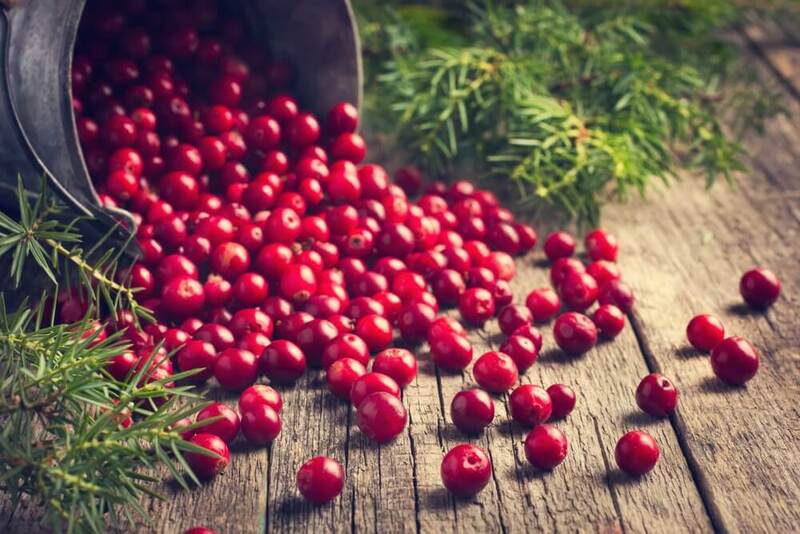 Learn more about the medicinal uses for cranberries in this article! Did you know that cranberries can help fight various diseases? 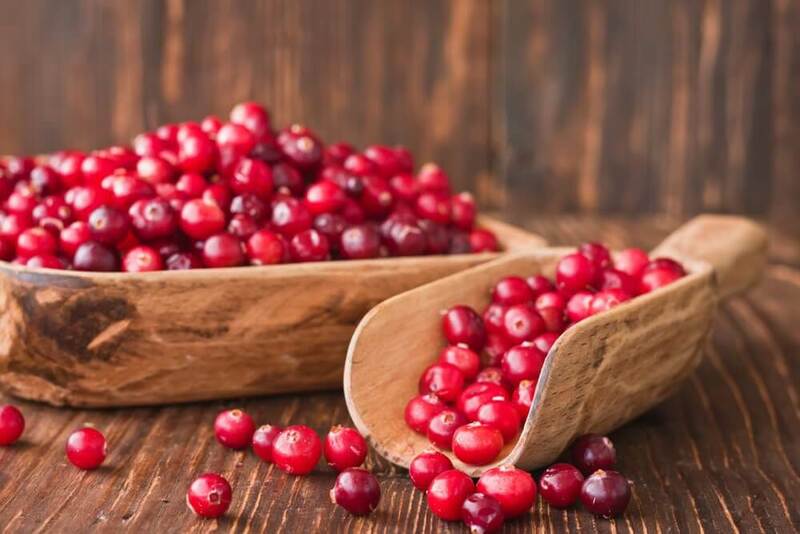 Find out more about these five medicinal uses for cranberries in this article. Cranberries are a red berry that’s found almost anywhere in the world but is more abundant in the northern hemisphere. This fruit belongs to a family of perennial dwarf shrubs. It’s usually short with small stems and red leaves. At first, the fruit is white, but it becomes red and edible when ripe.Cranberries have a strong acidic taste that is unpleasant for some people. People often confuse cranberries with other similar fruits, such as blueberries. The difference lies mainly in the color and flavor, as these fruits tend to be more acidic and sour when eaten raw. When it comes to the benefits that this fruit can offer, however, cranberries stand out from the other plants in the same family. 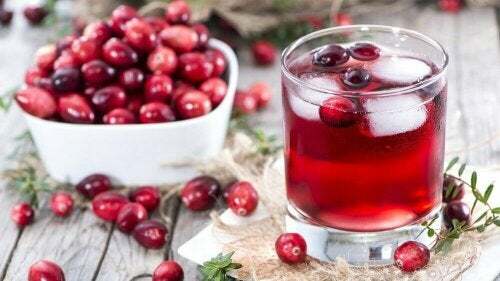 Although we already mentioned that the taste of cranberries is usually too acidic and sour for some people, you can easily find vitamins, capsules, juices, and other products made from cranberries on the market. These types of fruits are commonly used to treat stomach and urinary tract infections. 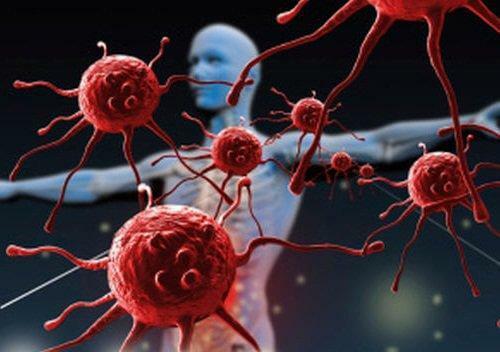 The vitamins and antioxidants make it better than the rest when it comes to treating diseases. Cranberries are especially notable for having lots of tannins in their makeup. 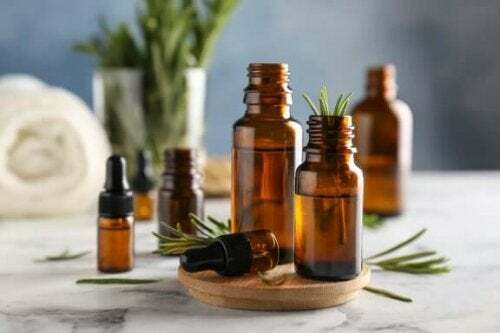 This is a natural and powerful antibiotic that helps protect and fight urinary and stomach infections, while preventing the appearance of ulcers. Cranberries also have a high soluble fiber content that helps lower levels of bad cholesterol (LDL). Let’s take a look at five home remedies you can make with cranberries. 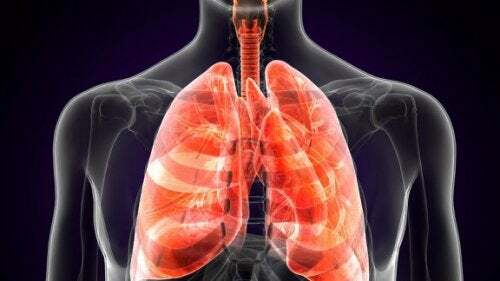 They have all kinds of beneficial applications for treating various diseases or health conditions. Treating diabetes is easier if it’s accompanied with a natural remedy that helps control blood sugar levels. This is easy to prepare so you can have it ready in just a few minutes. All you do is add the cranberry leaves to a liter of cold water. Bring this mixture to a boil for 10 minutes. Let it steep for another 10 minutes and then process until smooth. It’s a good idea to drink some of this beverage several times a day. If you want to prevent respiratory problems, the flu, allergies, and other diseases, try this smoothie. Add all ingredients to a blender and process until you have a smooth beverage. The result is a delicious drink that you can enjoy every day, best of all after you wake up. 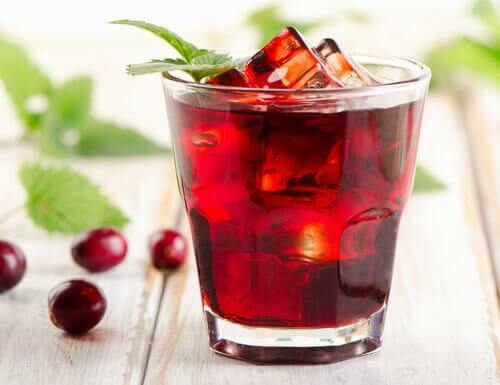 Cranberries are a great help when it comes to urinary tract infections. If you’re suffering from one now, take advantage of this remedy. Add both ingredients to the blender and process until smooth. Strain the liquid and drink up to two glasses a day. 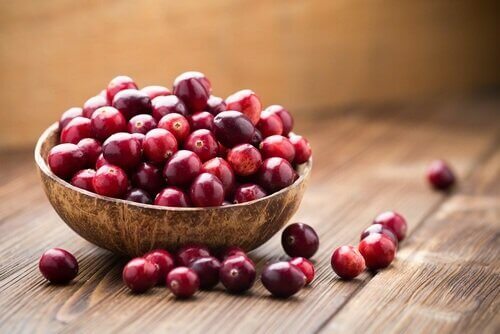 If you’re having stomach problems, especially diarrhea, it’s a good idea to use cranberries as a natural remedy. All you need to do is make a quick and easy tea. First of all, bring the liter of water to a boil. Once it’s reached the boiling point, add the cranberries and let it steep for 20 minutes. After that time, strain off the liquid and drink one cup per hour until the diarrhea has stopped. If you have a cut or any sores on the skin, you can also use cranberries to find relief. 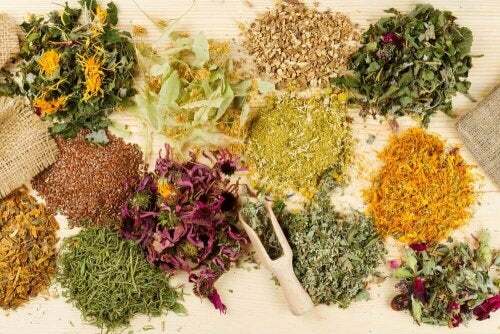 Make a tea that you can apply to the affected areas by taking advantage of the antibiotic properties of this plant. Wash the roots of the plant thoroughly. 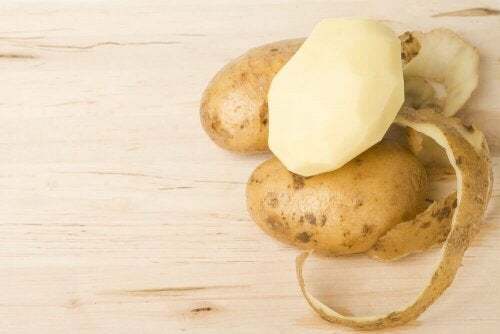 Once they’re clean and dry, chop them and place them in a pot with two cups of water. Bring to a boil for 10 minutes, then let steep for another 10 minutes. 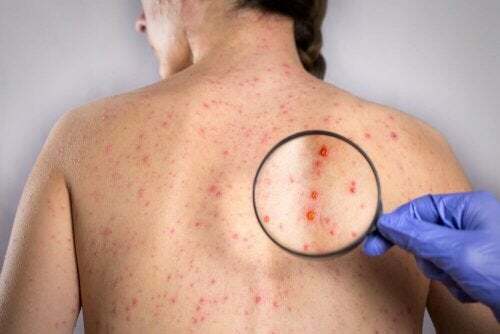 Use compresses to apply this treatment. It works for any kind of sore, wound, burn, or cut. 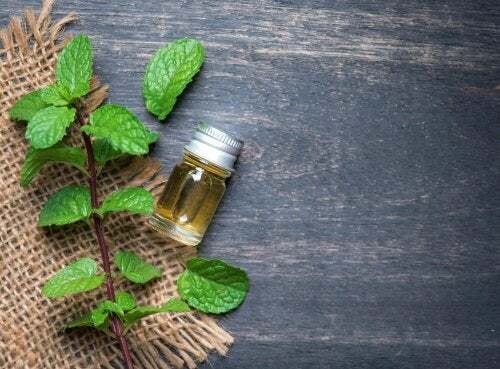 As you can see, there are plenty of ways to take advantage of this natural plant at home. Best of all, they’re easy to prepare and very effective!